In our first entry in this series, we covered some American battlefields from the Revolutionary and Civil Wars in the Northeastern and mid-Atlantic states. 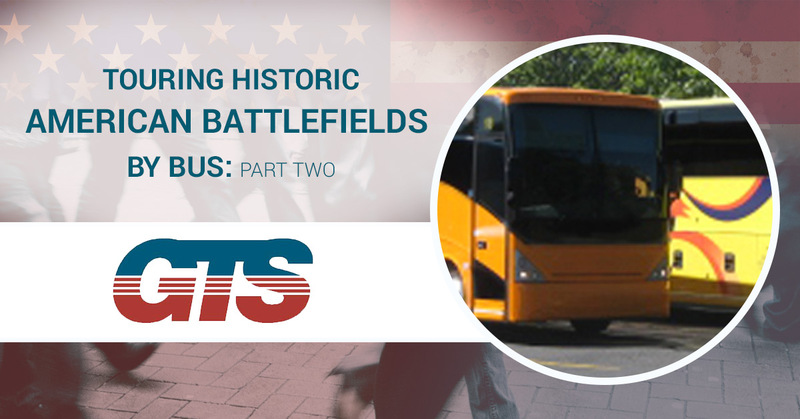 In this blog we’ll discuss some of the most important battlefields in the South. The first shots of the Civil War were fired at Fort Sumter in Charleston, South Carolina by Confederate forces on April 12, 1861. Over the course of a day the Confederacy lobbed artillery fire at the fort, before those in the fort surrendered the next day. Over the course of the war the North tried to retake Fort Sumter several times. All the efforts failed. The Union, after being unable to wrest control of the fort back from the Confederates, then decided to continue bombarding Fort Sumter throughout the rest of the war. While the Confederate soldiers managed to repel all Union advances, the fort took unbelievable amounts of damage, which the U.S. Army repaired after the Confederate forces abandoned Sumter ahead of Sherman’s march through South Carolina. Today, the Fort Sumter National Monument is made up of three sites in and around Charleston. From the Fort Sumter Visitor Education Center museum you can take a ferry over to Fort Sumter. The Battle of Chickamauga (September 18-20, 1863) was the last battle in a Union offensive that brought the war through parts of Tennessee and Georgia. Union progress was halted by Confederate General Braxton Bragg’s northern march. While the Union managed to hold its lines for more than a day, a miscommunication created a hole in the Union lines which was then exploited by Confederate Lieutenant General Longstreet. Longstreet drove a wedge into the line that forced a third of the Union soldiers off the battlefield. The remaining Northern soldiers reformed on Horseshoe Ridge and held the line until twilight, when they moved to Chattanooga. It was the second bloodiest battle in the Civil War, with over 30,000 casualties across both sides. At the Chickamauga National Military Park there are a great number of things to do and see, including guided tours, the Fuller Gun Collection, and more than 50 miles of trails that lead you around the battlefield. If your history class wants to visit any of these sites, you can always charter a tour bus from Ground Travel Specialists, and leave the driving to us!